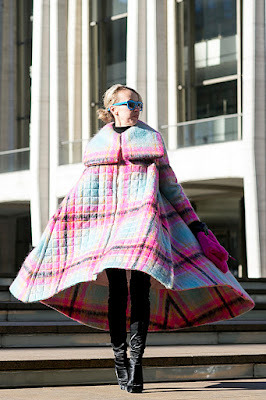 Bundling up in style is the ultimate Winter fashion conundrum. Once the temperature drops, the last thing you want to think about is the season’s latest trends. Trust us, with a few simple styling tricks, you can stay warm and look cool. Check the slideshow above for 17 ways to master winter style. The antidote to dreary weather? A vibrant (faux) fur Coat like this one. Layer two lightweight coats together for a look that's cozy and chic. Keep your head covered whilst putting your style on display. Wear devil-may-care fashion hoodies (chatty or message-free) with vibrant coats and structural bottoms. 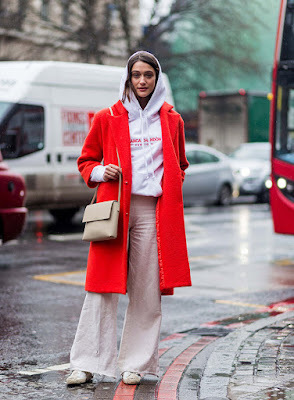 Inventive, risky layering is the key to street-chic winter dressing. Take your style cues from Irina Lakicevic. Slip an on-trend Victorian blouse on over a black turtleneck, complement your upper half with oversized checked pants and round out the look with anachronistic studded boots and mod earrings. 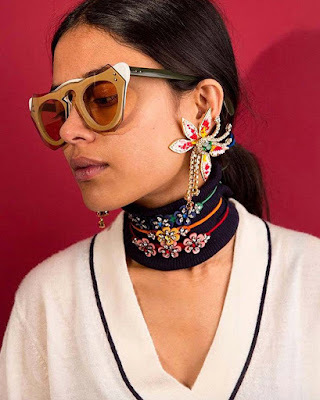 Trick your lobes, heart, mind and outfit into thinking it's summer with flowery statement jewelry, like these pieces by at Accessory Hut. Be as petty as Mother Nature. 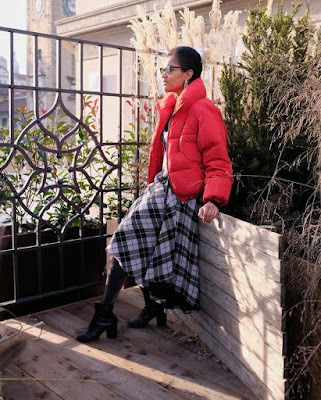 Keep warm with a tulle underskirt (and fashion puffer).